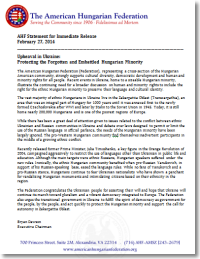 3/10/2014 - Ukraine: AHF Releases another Statement on the Plight of the Hungarian Minority in Transcarpathia. "Minority rights is a dimension to the complexity of Ukraine and the region that perhaps is laden with less immediate strategic significance but one that calls out for immediate attention to dispel the fear of perpetual conflict and to promote a democratic Ukraine. 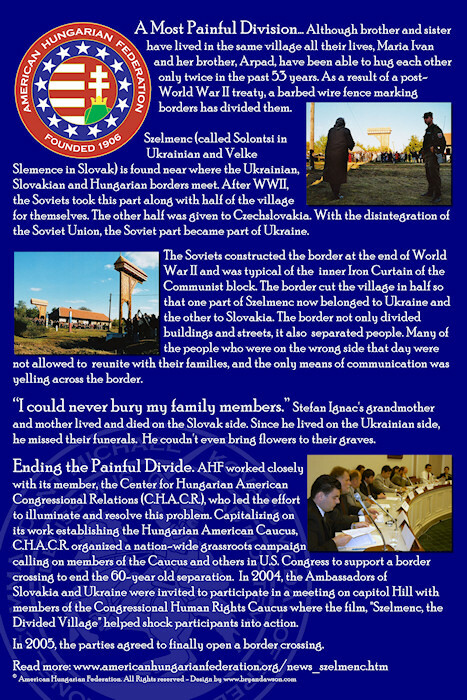 What is too often overlooked relates to the treatment of national minorities generally and specifically to Ukraine’s close to 200,000 ethnic Hungarians who live in western Sub-Carpathia, an area which was part of Hungary." 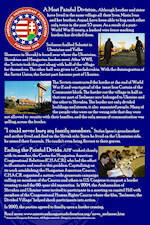 The article appears in full below and available for [download] or on Politics.hu. The rapidly unfolding events in Ukraine starkly remind us once again of the complex nature of Eastern Europe and the bubbling turmoil just beneath the surface in that region. The dangerous and high drama our televisions offer up every day include manifestations of ethnic tensions, ongoing power struggles and geopolitical competition involving the status of Crimea. The international community has almost exclusively and with considerable justification focused on the latter, invoking principles of international law enshrined in the United Nations Charter as well as the 1975 Helsinki Final Act and the Budapest Memorandum on Security Assurances. The Budapest Memorandum was signed in 1994 by Russia, the United States, the United Kingdom and Ukraine. In return for Ukraine agreeing to denuclearize, the other signatory countries agreed to respect the sovereignty and territorial integrity of Ukraine as an independent state. But there are other issues at stake that should not be dismissed, such as discrimination and intolerance toward minorities and their aspirations. 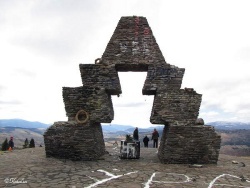 Violations of the rights of minorities result in tensions, instability, conflicts and in extreme cases the type of violence we witnessed in the 1990s when Yugoslavia disintegrated. 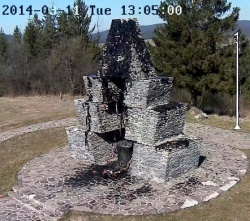 The Hungarian millecentenarium memorial monument in Verecke (Veretsky, now in sub-Carpathian Ukraine / Transcarpathia / Carpathian Ruthenia), which, once destroyed completely and rebuilt in 2009, has been repeatedly vandalized (see below) by Ukrainian ultra-nationalists, commemorates the Hungarian conquest and establishment of the nation in 896. 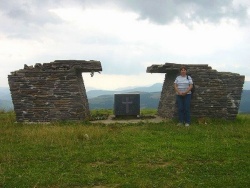 Verecke Pass marks the entry to the Carpathian Basin in 895. 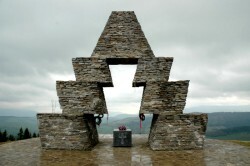 The Hungarian millecentenarium memorial monument in Verecke as seen in 2005. Minority rights is also a dimension to the complexity of Ukraine that perhaps is laden with less immediate strategic significance, but one that calls out for attention to dispel the fear of perpetual conflict and to promote a democratic Ukraine. What is too often overlooked relates to the treatment of Ukraine’s close to 200,000 ethnic Hungarians who live in western Transcarpathia (sub-Carpathian Ukraine), an area which was part of Hungary. At the end of World War I this region and its ethnic Hungarians fell victim to the great carve up of Hungary. Under the guise of peacemaking, the victors ignoring the principle of self-determination arbitrarily dismembered Hungary in 1920. In that process they transferred more than 70% of its previous territory and one-third of ethnic Hungarians to the newly created states neighboring what was left of Hungary. The inhabitants of the transferred territories had no voice in the matter, as plebiscites were inexplicably denied them. Transcarpathia first was incorporated into Czechoslovakia and after World War II annexed by the Soviet Union. Today it is part of Ukraine. The survival of any national minority is to a large extent dependent on its ability to preserve and cultivate its culture, especially its language. This proved to be challenging to the Hungarian minority in Transcarpathia under the Soviet Union which pursued a policy of denationalization. Ukraine’s independence ushered in a new era. Hungary was the first country to recognize an independent Ukraine in 1991, while the latter recognized the Hungarian minority’s right to preserve and develop its national, cultural and linguistic identity. In 2012 Ukraine wisely adopted a law aimed at giving any minority language the status of regional language. While the major beneficiary was the Russian minority, the Hungarian, Moldovan and Romanian communities welcomed this less than perfect law. At the same time, anti-Hungarian, xenophobic phenomena, such as the desecration of Hungarian-related monuments and hate speech describing Hungarians as enemies of the Ukrainian people, also surfaced and occur regularly. Then on February 23, 2014 after the recent revolt, the new parliament repealed the language law. While the acting president vetoed the repeal for now, this development understandably causes considerable anxiety and fear in the minority communities. But it is not only the minorities who are concerned. Others who have expressed misgivings about the repeal of the language law include the Secretary-General of the Council of Europe, the OSCE High Commissioner on National Minorities, and the foreign ministers of Bulgaria, Greece, Hungary and Romania. What does this portend for the future of democracy in Ukraine? The vexing and unresolved question of minority rights goes far beyond Ukraine, of course. But the unfolding events in Ukraine should waken the international community and the European Union in particular, to the fact that at long last coherent standards of minority rights need to be adopted. During the First World War, President Woodrow Wilson dropped a bomb on Europe when he promoted the principle of self-determination. Regrettably he could neither judiciously apply that principle nor convince vengeful statesmen of a Europe devastated by war to accept it. He undoubtedly realized his mistake when on May 31, 1919 at the Paris Peace Conference he observed that nothing “is more likely to disturb the peace of the world than the treatment which might in certain circumstances be meted out to the minorities.” On this score he was spot on. Indeed, discrimination and intolerance toward minorities have resulted in tensions, untold suffering and instability. States have also used the pretext of protecting minorities to wage campaigns to further their aggressive designs. Adoption and implementation of well-defined minority rights standards would go a long way toward promoting democracy and defusing conflicts and tensions in multi-ethnic states. A thousand years of nation building successfully delineated groups based on culture, religion, geography, and other attributes to create the countries with which we are so familiar. While some Western European nations would continue power struggles and princely battles and civil wars, Hungary, founded in 896, was a peaceful multi-ethnic state for over a 1000 years and her borders were virtually unchanged.... Until 1920. "The greatest catastrophe to have befallen Hungary since the battle of Mohacs in 1526," the Treaty of Trianon in 1920, was extremely harsh on Hungary and unjustifiably one-sided. The resulting "treaty" lost Hungary an unprecedented 2/3 of her territory, and 1/2 of her total population or 1/3 of her ethnic-Hungarian population. Add to this the loss of all her seaports, up to 90% of her vast natural resources, industry, railways, and other infrastructure. Millions of Hungarians saw borders arbitrarily redrawn around them, without plebiscites, ignoring President Wilson's lofty goal of national self-determination. The affects of this dictat are felt strongly today throughout the region. Two of the three newly created countries carved out of Hungarian territory no longer exist. "Slovakia" (Upper Hungary) split with the Czech Republic while "Yugoslavia" suffered from civil war and the ravages of ethnic cleansing. This should never have happened. Hungarian populations continue to decline significantly after forced removals such as the Benes Decrees and other pograms, and continued pressure and discriminative policies such as the 2009 Slovak Language Law, the Slovak Citizenship Act which is being used to strip Hungarians of their citizenship and status, and gerrymandering and other practices in Romania and Serbia. The United States never ratified this treaty. At the time President Wilson said: “The proposal to dismember Hungary is absurd” and later Sir Winston Churchill said: “Ancient poets and theologians could not imagine such suffering, which Trianon brought to the innocent.” We are sad to report that they were right. Hungarian populations declined significantly after forced removals such as the Benes Decrees and other pograms, the effects of WWI, and Trianon in 1920. With continued pressure and discriminative policies such as the 2009 Slovak Language Law, the Slovak Citizenship Law, discriminatory practices in Rumania and Serbia, this trend has continued over the past 90 years.